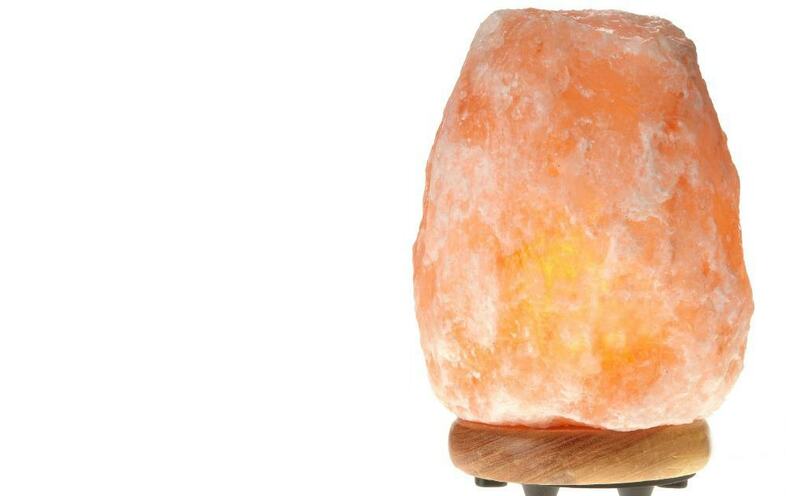 If you are wondering just what is a himalayan salt lamp then you’ve come to the right place! I’ve heard about himalayan salt lamps for awhile now. They always seems a bit too “out there” for me but then I use amber teething necklaces so I was probably a bit hypocritical in that thought. I needed to clean the air in my home; my house desperately needed the benefits that a salt lamp is said to give and so I decided to get one and give it a try. A himalayan salt lamp is a large (we are talking anywhere from 7-12 inches tall) chunk of pink himalayan salt. Yes, the same salt that could be ground up and stored in your spice cabinet. In fact, I’ve heard tales of kids giving their lamps a lick! 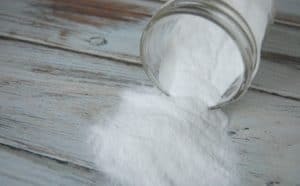 The inside of the salt is hallowed out and a light bulb is placed inside. There are a few other variations such as a salt lamp candle holder as well but the salt lamps with light bulbs seem to be the popular choice. What is the Purpose of a Himalayan Salt Lamp? Salt lamps are pretty all by themselves. They give a nice orange glow that reminds me of a lovely little fire. However, they are for more than just looks. These lights made of salt actually help clean the air in your home. Salt lamps are said to help reduce pollen, dust, allergens, and other pollutants. If you are wanting to help limit your exposure in our technology loving society, you’ll be happy to hear that salt lamps are also said to help reduce electromagnetic frequencies (EMF’s)! In short, salt lamps can help you breathe more easily and be healthier. There’s a bit more at work than just sitting a pretty light on your desk when it comes to cleaning the air in your home. In order to understand how salt lamps work, we have to delve a bit into science. Pollen, dust, pollutants, allergens, and EMF’s produce positive ions. These are the ions that we hear we want to avoid. Salt lamps produce negative ions by attracting water to the lamp and then the water evaporates. To give you an idea of the power and benefits of negative ions, think of beaches and waterfalls. Both are powerful and can have a healing effect on our bodies; both have negative ions in abundance. Negative ions work like magnets, attracting all the bad positive ions and neutralizing them. What is a himalayan salt lamp? Now you know! But what reason is there for wanting one in your home? Now I obviously cannot confirm all of these benefits but I do know that I feel happier when I use my salt lamp and there is definitely less dust in the room that my salt lamp is in. I’d love to be able to say that I’ve seen evidence of all the benefits but the truth is that I can’t confirm everything. I can only say that I feel like adding a salt lamp to my home has been a benefit. This is the salt lamp that I have, in case you are curious. I have a feeling I’ll be adding one or two more to our household in the near future. Salt lamps will last forever. You will only need to replace the light bulb from time to time. If you will be leaving your salt lamp off for more than a day, wrap it up! 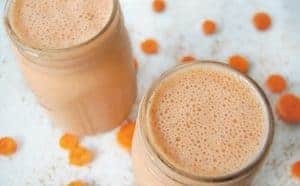 Since salt lamps attract moisture, if left off for extended periods your salt lamp could sweat and create a pool of water. If you live in a particularly moist area, it might be wise to place a plate under the salt lamp just in case it decides to sweat. Better to have it sweat onto the plate then all over your furniture. Since Himalayan Salt Lamps attract the dust and contaminants to themselves, you will want to periodically clean them. Cleaning a Himalayan salt lamp is very simple to do. 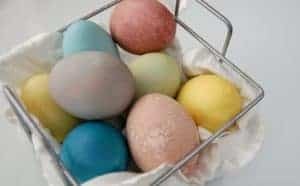 Simply turn off the salt lamp and wipe it down with a barely damp wash cloth. Once you have wiped the Himalayan salt lamp clean, turn it back on so it can fully dry out and begin to work again. 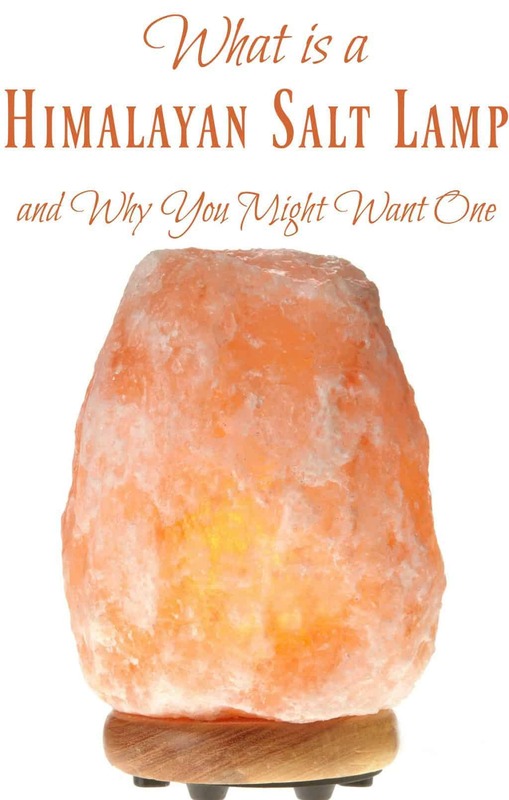 What Size Himalayan Salt Lamp Should You Buy? The salt lamp’s size will determine how much area it can cover. Here is a break down to help you figure out what size salt lamp you need. I keep thinking of buying a salt lamp. I had never even heard of them until over Christmas when I started seeing other bloggers post about them. Then I found out the massage therapist at my chiropractor's office has one! We have such sinus/nasal issues in this house (and we have pets), I'm sure one could help! I am not running to our health food co-op to get several of these! I didn't know they did so much! Thanks for going in depth about Himalayan salt lamps. I have been wanting to try one. I have asthma & seasonal allergies, so I'd like to know how much it would help me. I could also use more energy! I have been meaning to get one and after reading this I WILL! Thanks! I have been hearing about these for probably two years now and I've looked a couple times at getting one, but never made the commitment. In April I had the middle lobe of my right lung removed with a cancerous tumor. I have never smoked and was lucky it was found by chance while it was still small, but that combined with coming across a great sale definitely moved me to by two of these for my home, and will be buying more! Thanks so much for this post. Lots of great information. I'm hoping to get one of these for my mother in law. I have several of these salt lamps throughout my house. I just love them! I actually leave them on all the time even though we are on solar power (off the grid). They don’t use that much energy, they are beautiful, and I do believe they help the home environment! Thank you! We currently own 2 but I can see in a family of 6, we need more!! Do you have yours on all the time, if I didn’t it started to sweat and if I did it got very hot and it cracked unfortunately . Had that ever happened to you? Yes, my salt lamps stay on 24/7 (otherwise they do sweat) I’ve never had one crack. I did have to turn off my night light salt lamp as the replacement bulb I bought was much to hot (too high of watts).